Weddings can be extremely expensive, which is why some people try to do as much as they can on a budget. This is one of the reasons why DIY wedding invitations with ribbon have become popular throughout the world. 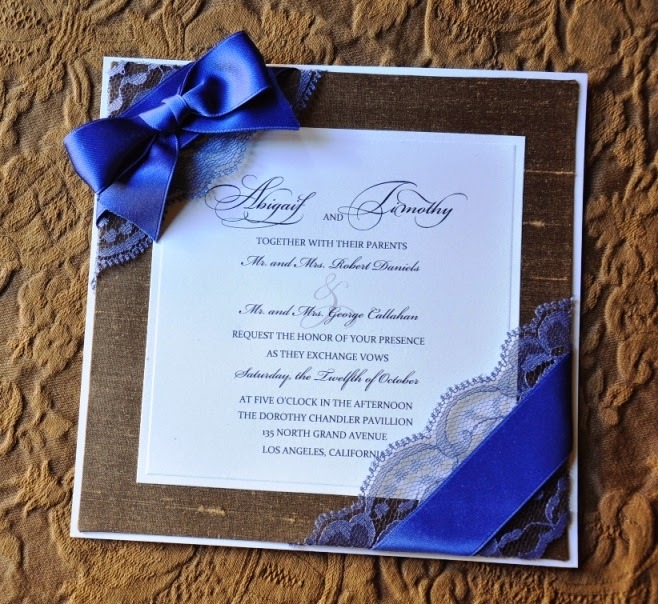 Now it is possible to still have a classy invitation without having to ask the experts to do it for you. Placing the ribbon around the corners: this ribbon will need to be slender and should complement the colours on the existing invitation. You can simply wrap the ribbon around the two opposite corners in order to give it that stylish edge. Once this has been done, you can use any extra pieces to create a bow on top of the upper corner. 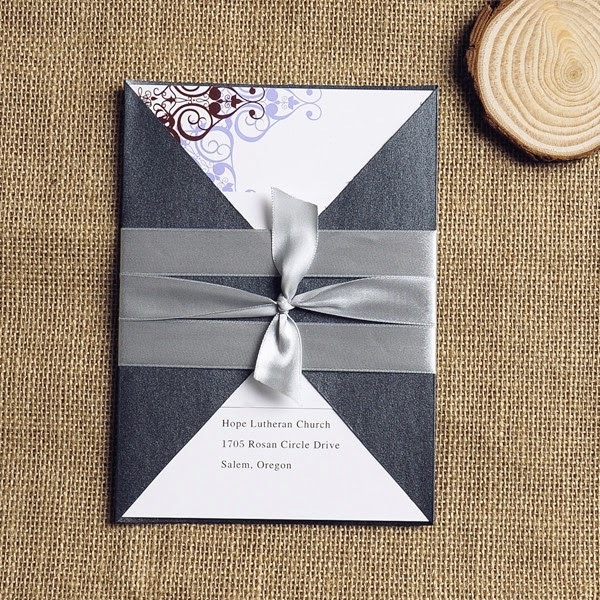 Bow on the top: Placing a bow straight across the top of the invitation is simple to do. Cut two slits at the top of the invitation at the centre. Choose your ribbon colour (again, the ribbon needs to be a slender one) and thread the ribbon through the two slits to make a bow. It's as simple as that. Tied together: some people refer to getting married as "tying the knot". You can play with this idea by tying two different, thin ribbons together in a knot. 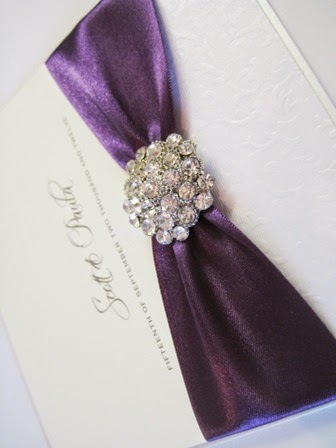 Pick two colours that complement 'his and hers' choices as well as the invitation colour. Ribbon band: if you are not the most creative of people, take the simple yet elegant route. 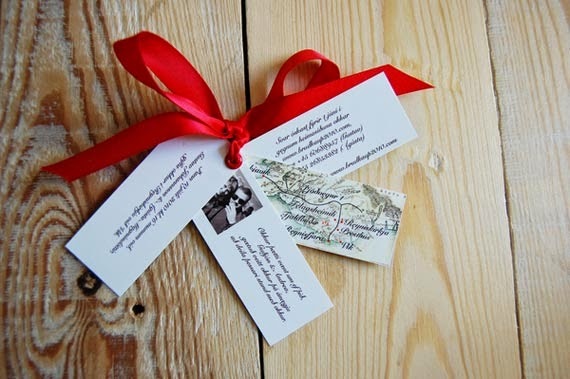 Find a thick ribbon and place it around the centre of the invitation. You can then tie this ribbon into a bow in order to add that extra touch. You can use ribbon to your advantage in many different ways throughout your wedding. Your invitations are the first look that your guests will get with regard to the colour scheme and/or theme of your wedding. This is why you need to dedicate some time to getting them absolutely perfect. If you would prefer not to spend money on getting them professionally made, you can add your own special touch by using ribbon, complementary colours and stunning calligraphy. Your ribbon choice is completely up to you. However, it would be wise to consider choosing satin or organza. In some cases, ribbons are wired, thus making it easier to manipulate them into the perfect bow for your invites.